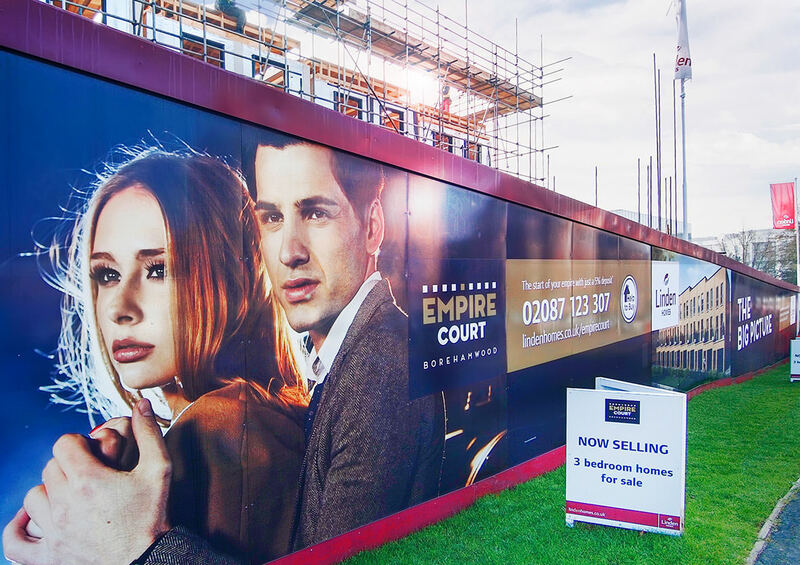 This was a challenge with a difference … providing illuminated hoarding based on a client’s site on Studio Way, featuring an action movie theme to coincide with the launch of the latest Bond film. Working to a very tight time frame, the client brief included the need to enhance the visibility of the marketing suite, make full use of the limited space and the site hoarding as well as keeping their customers safe and segregated from the construction traffic. Halo-illuminated letters fitted at high level drew instant attention to the marketing suite. We adapted large sign panels to be visible above the hoarding. 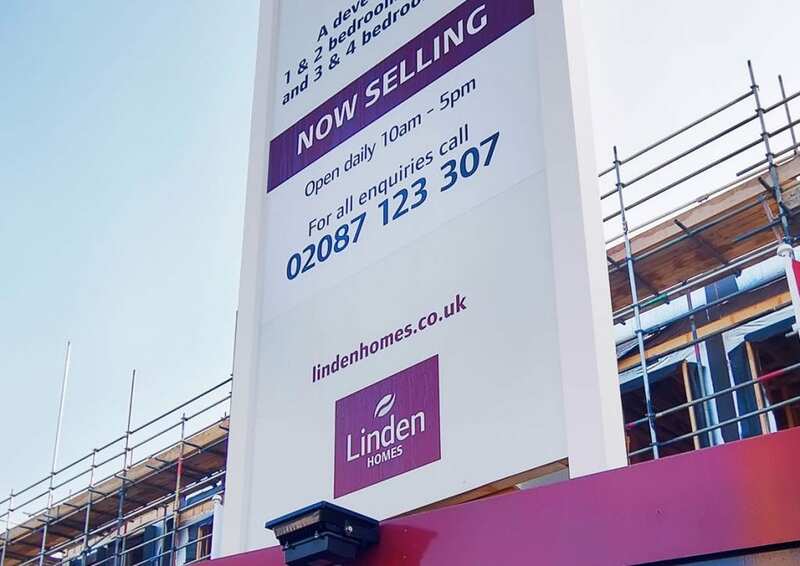 We then clad the hoarding with printed panels adding clear directional information to help their customers navigate safely around the development. 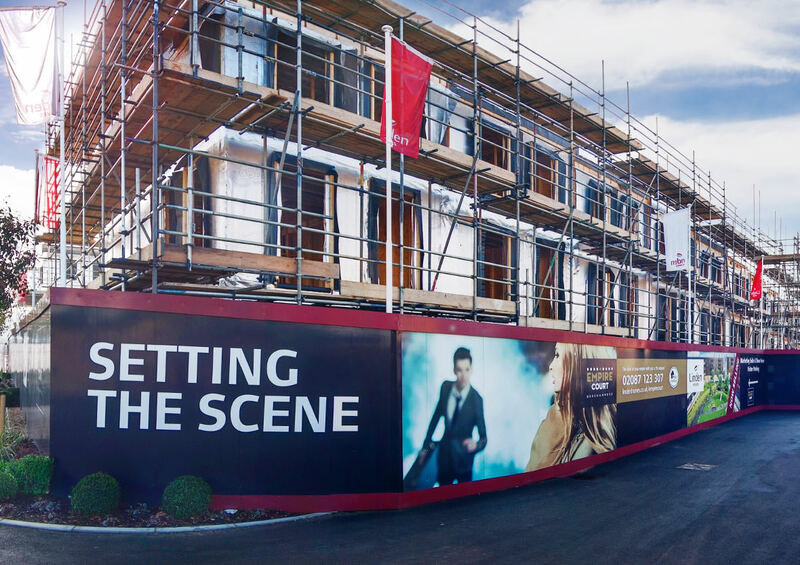 Our on-site team established a strong relationship with the site manager and lead electrician to develop a staged installation plan. 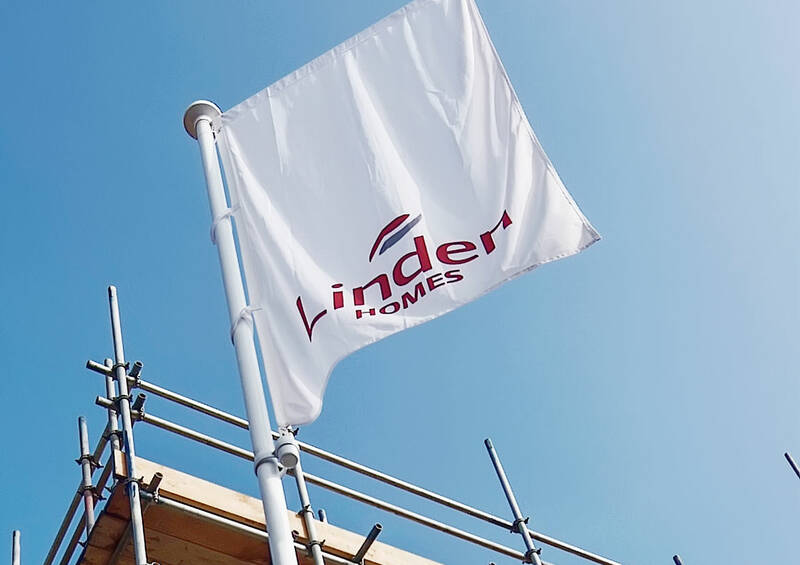 The hoarding was surveyed by our team as it was built, and our studio team worked their usual magic to ensure the design fitted and followed the incline of the hoarding seamlessly.